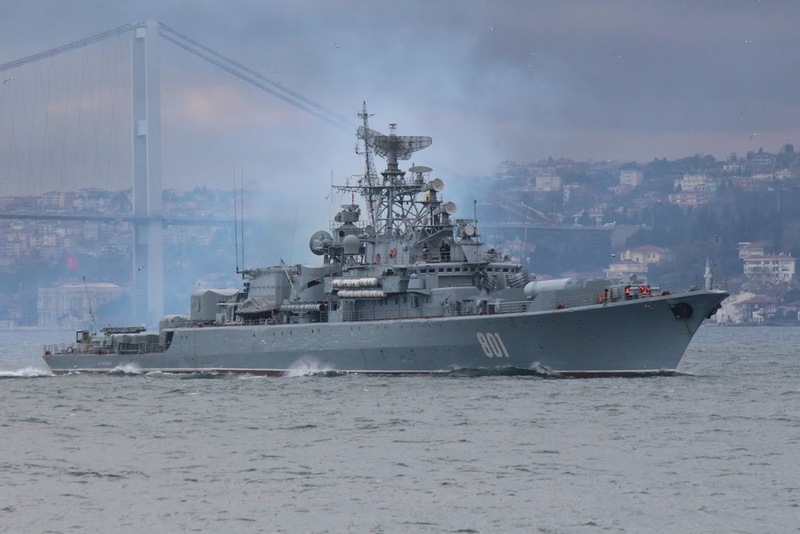 Russian Krivak class frigate Ladny making her south bound passage through Bosphorus. Photo: Kerim Bozkurt. Used with permission. 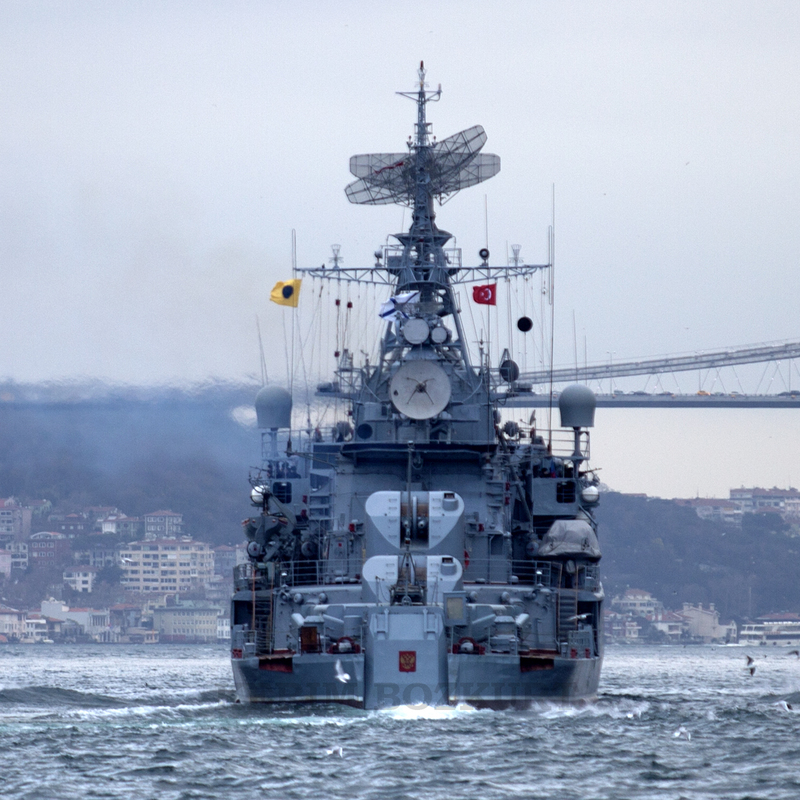 Russian Krivak class frigate Ladny making her southbound passage through Bosphorus. Photo: Yörük Işık. Used with permission. 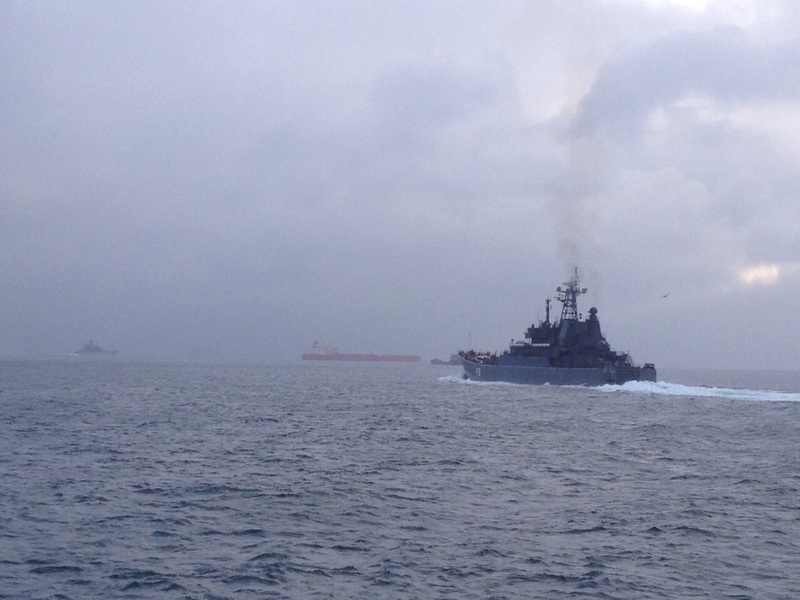 Russian Ropucha class landing ship Alexander Shabalin heading to the Mediterranean. Photo: Kubilay Yıldırım. Used with permission. Russian Ropucha class landing ship Alexander Shabalin heading to the Mediterranean. Photo: Işık Yıldırım. Used with permission. 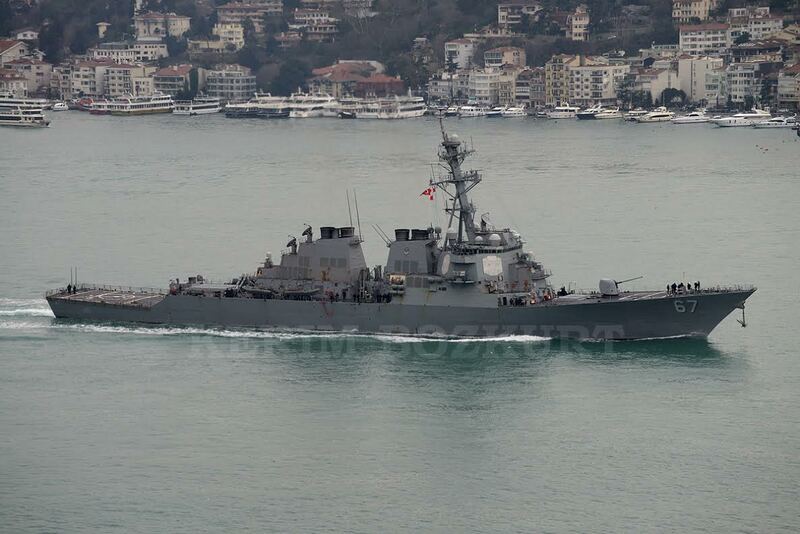 US Navy Arleigh Burke class destroyer USS Cole making her northbound passage through Bosphorus. Photo: Kerim Bozkurt. Used with permission. 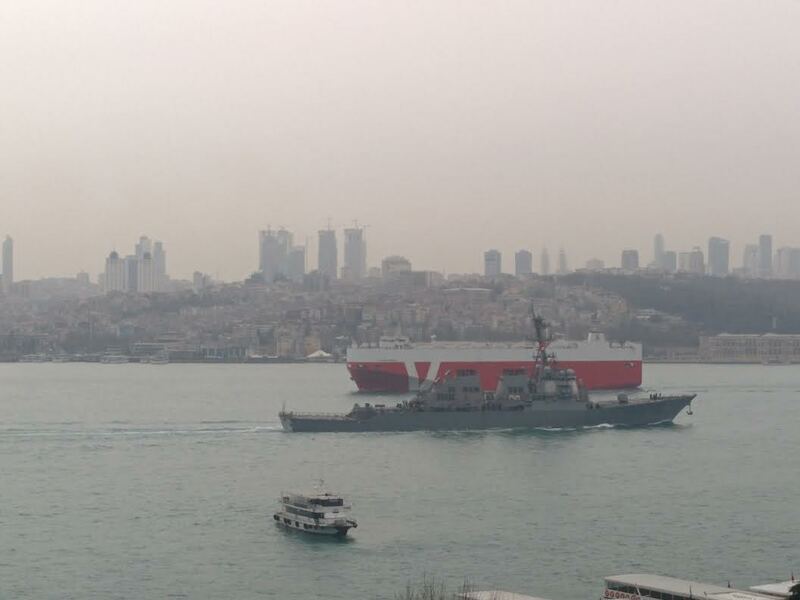 US Navy Arleigh Burke class destroyer USS Cole making her northbound passage through Bosphorus. Photo: Alper Böler. Used with permission. 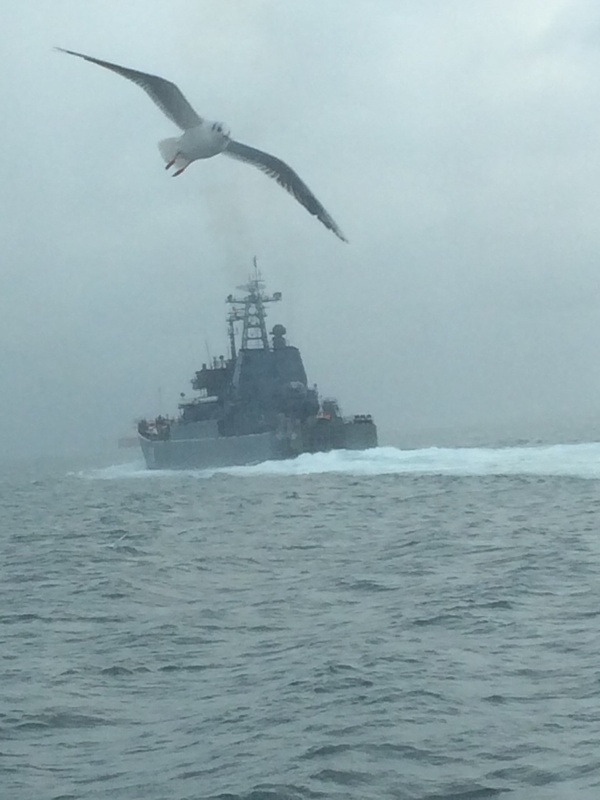 The Russian Krivak class frigate Ladny which was supposed to sail on 26 January 2015, made her southbound passage on 7 February 2015. This her first deployment after her overhaul. 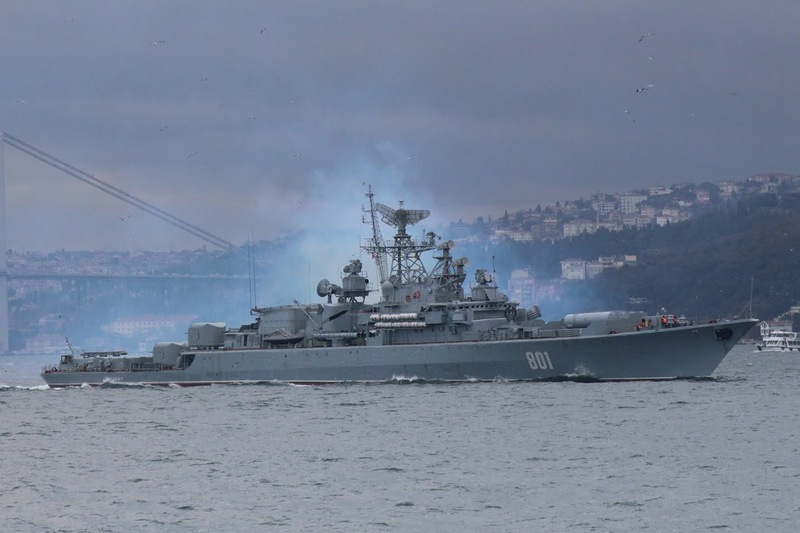 Two Ropucha class large landing ships Yamal and Alexander Shablin, passed through Bosphorus later on the same day. On 8 February 2015 the US Navy destroyer USS Cole made her first Black Sea deployment in 2015. Sorry mixed up USS Cole with USS Shiloh, silhouette mistaken identity !